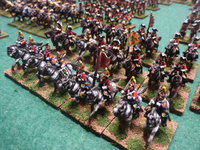 A nice collection of horse, although I prefer smaller sized Standards. 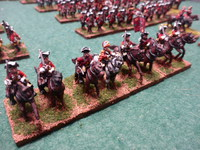 10th dragoons are very nice. It's impressive to see how fast you continue your project. 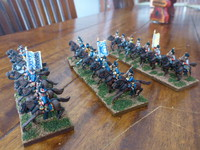 Good continuation to your project! 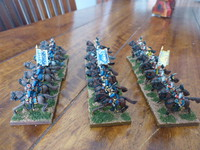 British 6th Dragoons done. 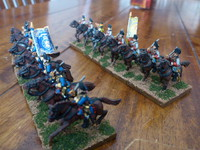 I have some Dragoon Guards and the Scots Greys to do but not sure what I will use for the Hanoverian Cavalry figures. I think the base uniform is not different but the drummer certainly will be. 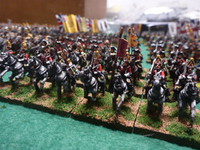 I will have to get some Eureka cavalry I think as I want a Kettle Drummer for the Horse Guards. 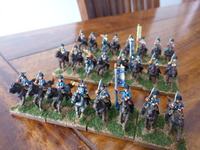 Ordered some Blue Moon British Regiments of Horse for Hanoverian cavalry. 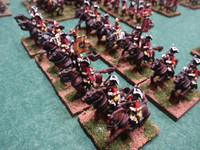 For Hanoverian kettle-drummers I don't think Blue Moon has a suitable figure, eager to see your Eureka miniatures! 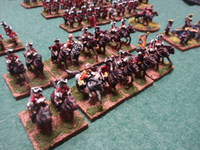 I didn't painted musicians for my hanoverian horse. 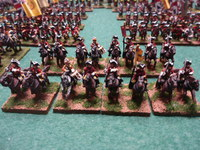 One reason was that I didn't knew how they looked like. Oh! 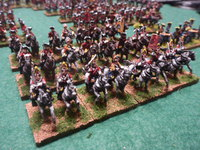 I forgot to comment your wonderful Prince Holstein's Brigade! 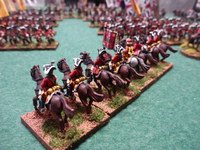 Hope to make it one day... For the moment next goal is Hanoverians. Gorgeous little dudes! Well done!